What happens when a couple of industrial designers put their heads together to develop a wholly new approach to the crutch? Mobility Designed has created something refreshingly different. We've got a pair and are in the process of testing. Spoiler: You've never seen anything like it. Dave these look cool! I'm curious how one crutch works. I didn't see a video of it in action... because it's not used as a cane when using 2, but I wonder if one adjusts the height correctly, if one could use one crutch comfortably like a cane, or if it would offload too much weight onto the forearm??? PT tells me cane's are helpful for more stability and lack of feeling in feet and crutches are more more taking the weight off feet/leg/hips. Just curious what you're finding with these....Thanks! A pair of talented industrial designers have put their heads together to come up with an entirely different approach to the crutch, one that doesn’t rely on forearms (like Canadian or Lofstrand crutches) or armpits (like a traditional crutch). 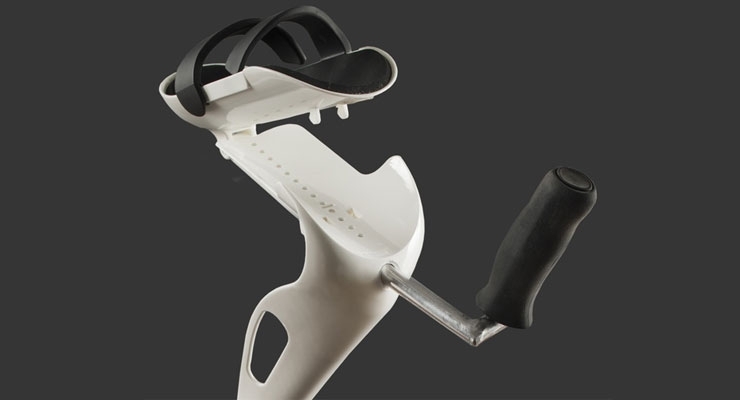 We review Mobility Designed's innovative M+D Crutch. Note that ActiveMSers has arranged for members to get a 15% discount on these crutches. The coupon code is in the Members Only area of this forum. Not a member? Join at www.ActiveMSers.org.